You can get a matching black on yellow morale patch at Varusteleka. It’s making fun of all you three placentas and moron labias who would never actually do anything if the government took your guns. Overall it’s a light hearted jab at you Gadsden flag flying cousin rompers. Snek is pet snake that is considered cute. @WB…Guessing now , believe that is a left handed swipe at a south of the border interpretation of ” Don’t Tread On Me ” . (left as in liberal , socialist , communist , progressive comment ) nothing against south paws . Lol, anyone believe that there is any difference between the left or right boot of the war machine must be suffering deep headwound trama. Now the NRA is run by Putin, and I sell more guns to lefties than the right whighties…if you are holding on to either side, you have lost the capacity for rational thought. Dude, it came from silly Redditors having fun. Not everything is a global conspiracy. Lighten up. Offended? Must be another typical social justice warrior millennial with pink hair… Just so you know Palmetto is a company from the south. SC to be exact. Just a thought. The state tree of South Carolina just happens to be the Palmetto. Haha people are actually upset in the comments over this and getting upset at the guy that actually gave the answer to how to find out what it means. Didnt realize men were so sensitive. Maybe its all the newer younger millennial gun owners. It’s a meme, bro. 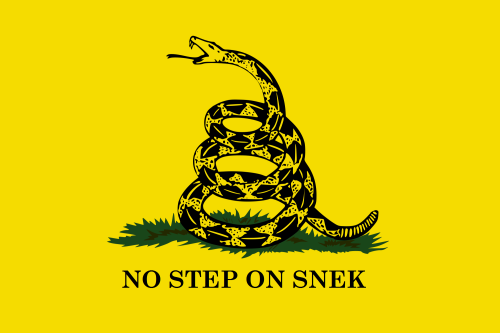 Google “snek” before you get all mad. @Anon meme, Why not just tell us what this nonword means to you before you start giving orders? The term “snek” has been around for awhile. The only thing that could make the SF’s move were Kraits and Bamboo Vipers. The various types of Cobras, for the most part, were not aggressive unless you cornered them and would do their best to stay away from you. Kraits and Bamboo Vipers had no fear of humans. No thanks, Im not going listen to that boy.